Dr. Miller is a professional cosmetic dentist. He has completed a comprehensive series of post-doctoral courses at the Seattle Institute for Advanced Dental Studies (renamed Spear Education) under the world renowned Dr. Frank Spear. Dr. Miller has recently been invited to join Spear Education as Visiting Faculty to mentor dentists from around the world. 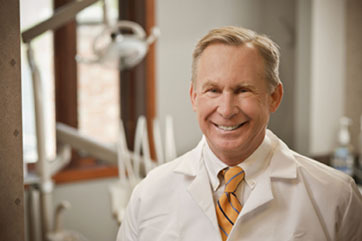 Dr. Miller is passionate about keeping up with the latest advances in dentistry. To stay on top in his field, Dr. Miller completes hundreds of hours of postgraduate education every year, studying with the best dentists in the world. He loves dentistry and is particularly excited about the advances in the field of Cosmetic dentistry. Dr. Miller is a native upstate New Yorker and a graduate of John Carroll University, Cleveland, OH, and Georgetown University School of Dentistry both with Honors. He graduated with multiple awards from Georgetown. He is married with 3 children and is a certified instrument flight instructor. He enjoys bicycling, hiking and relaxing with his family.